Posted February 24, 2017 by Rachel & posted in Uncategorized. In every suburb and town, in every church and school, sporting group, or other community organisation, which existed in some form in 1914, there is to be found a Roll of Honour, or other plaque or memorial, relating to the role played by the men and women of that community in the Great War 1914-1918. Churches were an especially important, and prominent part, of Australian life at the time, none more so, perhaps, than the Church of England (or Anglican Church) in Australia. The Anglican Church was especially prominent in recruitment campaigns, and in a myriad of other ways, in support of the war effort at home, and was highly involved and active in the great debates over Conscription. Men affiliated with the church made up around half of all enlistments to the armed forces, and many of its clergy served as chaplains, and some as combatants. 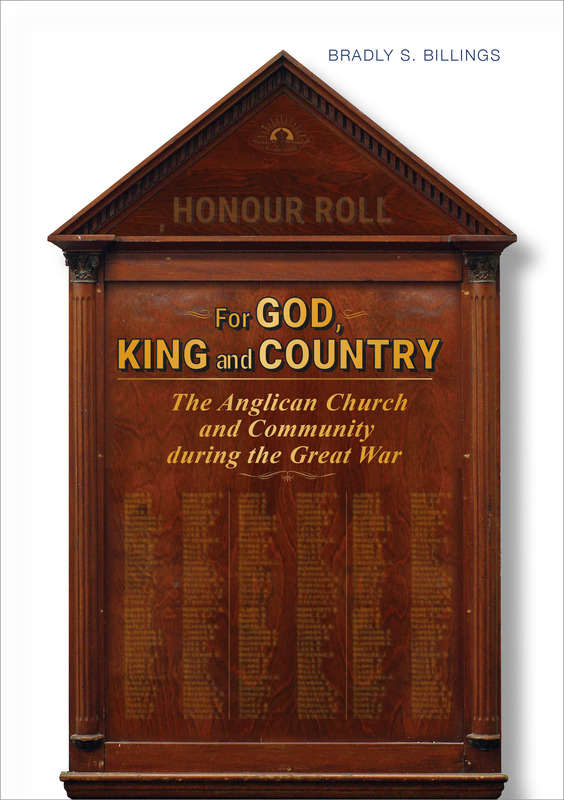 As the series of centennial observances relating to the war years continue to occur, For God, King and Country brings to life the names inscribed on the plaques and memorials, and honour boards, in so many parish churches and other places associated with the Anglican Church, by telling their stories, in the context of the wider story of the church, its people, and the wider community, during the course of the Great War. Making extensive use of the material culture itself in the form of memorials, together with parish records and publications, newspaper archives, songs and poetry of the war years, and other primary sources, For God, King and Country is, first and foremost, a contribution to the social history of Melbourne, and Australia, during the catastrophe that was the Great War, told through the lens of the then strong churches, and the people who formed community in them.